Specialising in: Company Voluntary Arrangements, Company Administrations, Pre Pack Administrations, Liquidations, Individual Voluntary Arrangements and advising on Employee Benefit Trusts / APNs. 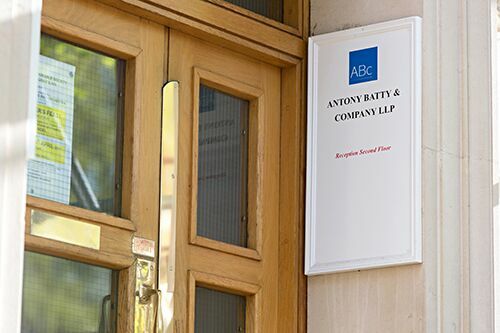 As Licensed Insolvency Practitioners, we act for clients – both Corporate and Personal – nationwide from our offices in Central London and Brentwood, Essex. We also have satellite offices in The Cotswolds and Salisbury. Click here for our FREE Insolvency and Restructuring Guide, which details why taking early action is key to avoiding or surviving financial difficulties. Founded in 1997, our experienced team of 4 licensed insolvency practitioners, dedicated case workers and support staff are insolvency specialists who have been advising our clients ‘when it isn’t business as usual’ for more than 20 years, and delivering the results that are needed. Since we started, we have worked on c.2,000 corporate and personal insolvency cases, often preserving as much of a business as possible, helping businesses turn their fortunes around, or when absolutely necessary managing as orderly a closing down as possible. Click here to see some of our testimonials and case studies. Businesses face insolvency (and ultimately failure) for many, often interlinked, reasons. These include cash flow problems, HMRC arrears, difficulties raising finance and other external factors beyond their control. We specialise in delivering all types of insolvency solutions and advice, including business recovery and restructuring advice, to companies that are facing insolvency. We work to find the right solution to your insolvency problems. We also offer specialist insolvency advice to specialised industries: Charities and Non Profit Organisations, Aim Listed Companies and the Travel Industry. Advice on how to deal with Accelerated Payment Notices received as a result of involvement in an Employee Benefit Trust. Whatever the reason for an insolvent situation, it is highly stressful and therefore the sooner you take action, the better. There are two broad outcomes to the specialist help and advice we provide. Business Recovery and Turnaround. If there is a core business that is profitable or has the potential to be profitable, then we will work with you to help you make the right decisions to turn your company around. As a result, this may, or may not, involve a formal insolvency procedure. Closing Down and Winding Up. If, however, the business is failing and there is no way to rescue it and turn it around, then the only solution is to implement as orderly a cessation of trade to stop the hole getting any deeper. Click here for our FREE ICAEW co-branded guide focuses on why early action is the key to avoiding or surviving financial difficulties. If you or your business is facing insolvency, contact us or call us on 0207 831 1234 for an initial FREE chat about the way forward. If you decide to retain our services, we will listen to your problems and work closely with you. We will use our skills, experience and expertise to tailor an insolvency solutions plan that is right for you and your business. The insolvency licence holders of this practice are licensed as insolvency practitioners in the UK. The license is from the Institute of Chartered Accountants in England and Wales.